The hallmark wine event of Melbourne Food and Wine Festival presented by Bank of Melbourne (28 February – 16 March 2014), Acqua Panna Global Wine Experience, returns with once-in-a-lifetime wine tastings guided by international authorities Tim Atkin MW (UK) and Chateau Coutet’s Aline Baly (France), joined by some of Australia’s most influential wine experts including Andrew Caillard MW (Langton’s, Sydney), Phillip Jones (Bass Phillip, Gippsland) and Rick Kinzbrunner (Giaconda, Beechworth). Buoyed by the 2014 Festival’s theme of water, Acqua Panna Global Wine Experience will feature exclusive tastings from oceanic regions and riverside vineyards; explore the central and powerful role of water in winemaking; and debate and debunk the hot issues in today’s wine industry. Now at the core of the Festival’s new dedicated wine weekend, 1 – 2 March with four sessions over two days, Acqua Panna Global Wine Experience will gather benchmark wines from Australia and around the world for tasting and debating, including Chateau Coutet Sauternes, Leeuwin Estate Art Series Cabernet, Eric Texier Condrieu and Giaconda Chardonnay. The Masters (1 March) is a proud showcase of Victoria’s iconic wineries lead by pioneering wine legends Pat Carmody (Craiglee, Sunbury), Guill de Pury (Yeringberg, Yarra Valley), Phillip Jones (Bass Phillip, Gippsland), Rick Kinzbrunner (Giaconda, Beechworth), Ron Laughton (Jasper Hill, Heathcote), John Thomson (Crawford River, Henty) and Viv Thomson (Bests Great Western, Grampians). 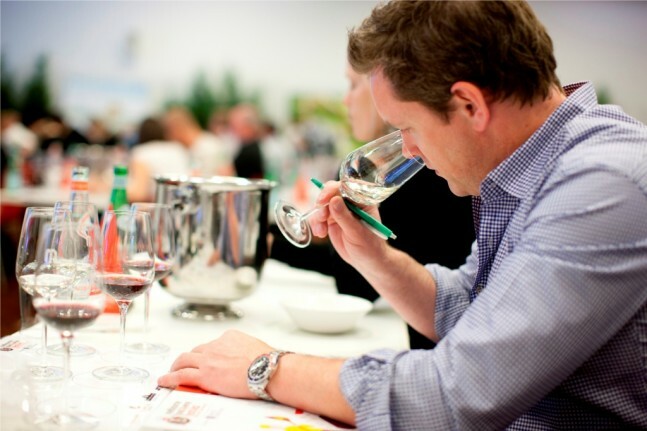 Moderated by Max Allen, this exceptional session will discuss the past, present and future of Victorian wines and feature a museum wine tasting from the presenters’ wineries. Guests will then join the winemakers at a lunch matched to wines from their current vintage. Rounding off the day with something sweet, Noble Rot, Liquid Gold (1 March), will shine the spotlight on sweet style wines from across the world and uncover how the vineyards’ surrounding landscape – lakes, rivers and swamps – play a role in shaping the wine’s flavour. Guided by Tim Atkin MW, Aline Baly, Sophie Otton (Sydney) and Mark Protheroe (Grossi Group, Melbourne) and moderated by Nick Stock, this session will go beyond traditional sticky dessert wines to showcase wines affected by botrytis, Canadian ice wines, rieslings and German gewürztraminers. Storm in a Wine Glass (2 March) will bring common wine controversies out in the open to be debated and debunked. Tim Atkin MW, Sophie Otton, Steve Webber (De Bortoli, Yarra Valley) and wine writer Tim White (Australian Financial Review) joined by moderator Mike Bennie, will lead a lively discussion and opinion-swaying tasting covering topics including vintage variation, wine bottle closures, natural winemaking and scoring systems. A Drop in the Ocean (2 March) will put cabernet sauvignon on the pedestal while highlighting the world’s greatest appellations that have one thing in common; their proximity to the ocean. Wine connoisseurs can taste examples from Bordeaux, Tuscany, Hawkes Bay, Napa Valley and Margaret River, with discussion and debate lead by Aline Baly, Banjo Harris Plane (Attica, Melbourne), Sue Hodder (Wynns Coonawarra Estate, Coonawarra) and Andrew Caillard MW, with the session moderated by Philip Rich (Prince Wine Store). Wine lovers can round off the weekend in style with four of Australia’s best sommeliers Tim Bryar (Botanical, Melbourne), Matt Dunne (ARIA, Sydney), David Lawler (Rockpool Bar & Grill, Melbourne) and Daniel Wegener (Print Hall, Perth), as they go head to head at Battle of the Sommeliers (2 March) with Tim Atkin MW and Aline Baly on hand to judge their wine pairings to chef Lionel Abello’s dishes at Botanical. 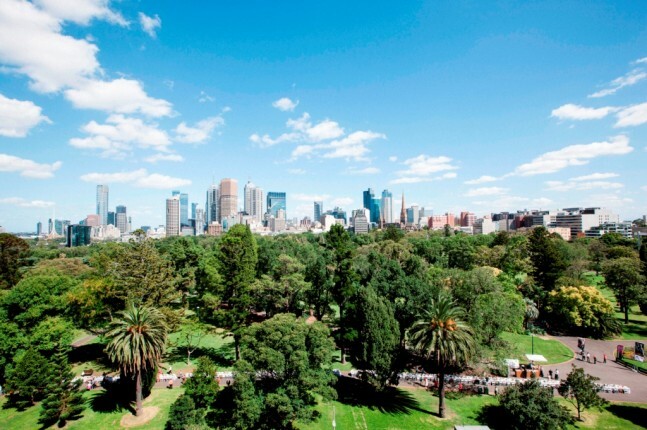 For those wanting to explore further into the field of food and wine matching, Perfect Match as part of Langham Melbourne MasterClass (8 – 9 March), comprises of eight sessions over the weekend uncovering classic and quirky food and wine pairings guided by Victorian chefs, winemakers, sommeliers and producers, hosted by wine writer Ralph Kyte-Powell. And, passionate Argentinean chef Mauro Callegari (True South, Black Rock) and Tessa Brown (Sorrenberg Vineyard, Beechworth) will prove that a shared love of food and wine can cross the deepest of oceans.